The Elevate Arm Board™ and Flat Arm Board provides clinicians with a cost-effective, innovative and convenient procedure board for patients undergoing radial catheterization procedures on either the left or right wrists. 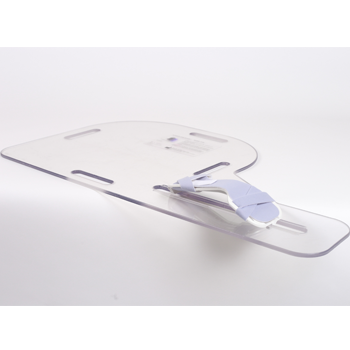 All boards slide easily under the mattress on either side of virtually any procedure table and positions the patient’s arm to the same level as the top of the mattress. 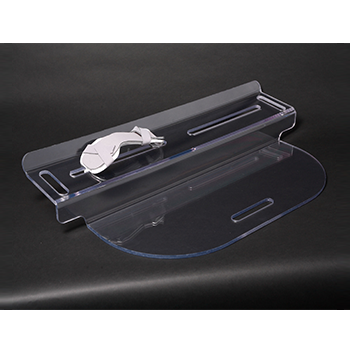 The Elevate Armboard and Flat Arm Board also integrate with the single-use mBrace (Model 4250) wrist support device. This helps to speed prep time by positioning the wrist at the proper extension angle and thereby eliminating the need for tape and towel. The mBrace 4250 easily snaps in and out of the Elevate Armboard channel to permit stable wrist positioning and enhanced patient comfort during the procedure. No need for tape and towel when mBrace 4250 is used, thereby speeding prep time. The Elevate Arm Board™ and Flat Arm Board are intended to be used by clinicians to support a patient’s arm during a cannulation procedure, such as a catheterization into the radial artery.